Look at the people around them. Look at where they are “all” staring. Why are we so obsessed with celebrities ? 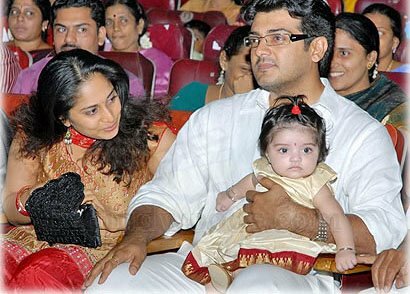 HAI ANOUSHKA HOW R U BABY,UR BABY LOOKING COOOOOOOOOOOOOOOOOOOOOOOOOO CWIT.LOOK LIKE DOLL. I LOVE U DA SAYANG.CWIT KISS 4 ANOUSHKA UUUUUUUUUUUUUUUUUUUUUUUMMMMMMMMMMMMMMMMMMMMAAAAAAAAAAAAAAAAAAAHHHHHHHHHHHHHHHHHHHHHHHHHHH. BUBYE TAKE CARE OF MY CWIT KUTTY ANUOSHKA. I like Anjali film very much, & i’m ur age. Eager to see ur next film in Tamil. nice pic… hi baby..coooooool anoushka……. Thanks for the photo da. Anyway better to be obessed with celebrity than be obsessed with rajaram & sethuram no ? 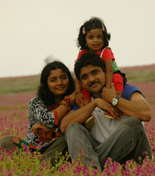 Nice Family Photo…Both my husband & myself r ur fan from schooldays.. Looking forward for a great movie from ur end..
wow god give cute and beauty ful daughter she is so cute.